05/15/2017: Just got back from another crazy weekend—my husband and I went to New Orleans to go see the Chainsmokers live in concert. The concert was incredible. This might seem funny, but I love to close my eyes during concerts—just let the vibrations of the music overpower me, the bright lights breaking though my closed eyelids. It’s one of the most freeing feelings in the whole world. And this was the concert to do it—we were just a few rows from the stage, and everything was so big and bright and loud. It was incredible. Of course, I felt a lot safer doing that knowing my husband was holding me. It was just so powerful to share that feeling with my husband. SL Response: Ahh yea, you crazy. You love all the basic stuff. 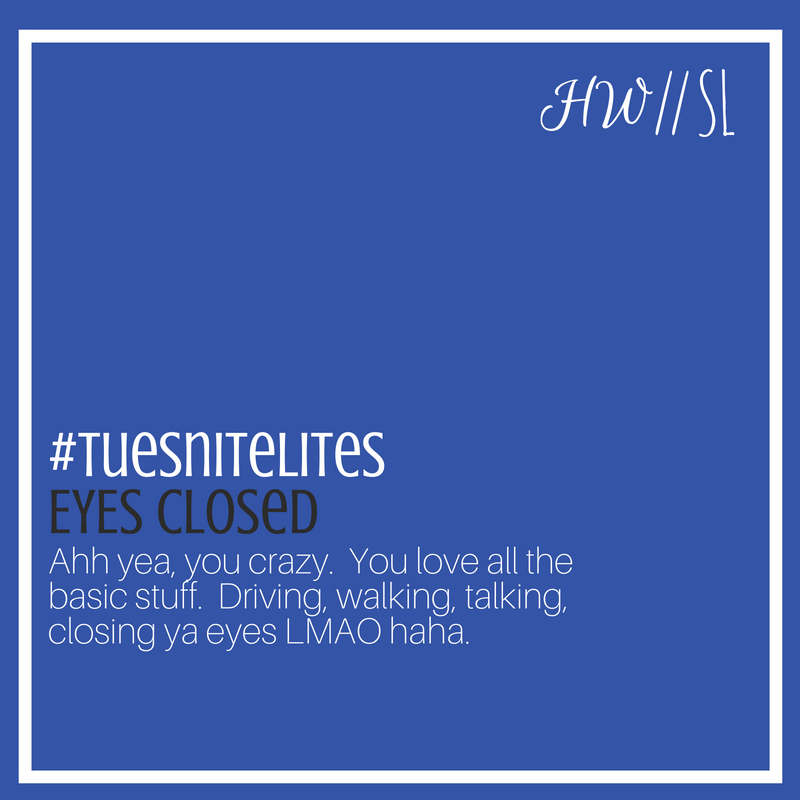 Driving, walking, talking, closing ya eyes LMAO haha. This is cool. I feel you on the “lettin the music just overpower you." I never been to a concert though. But I seen and heard and watch (through recordings) enough to understand your joy. Go your husband for holdin you down while you zoned out with you eyes closed! Aye you ever heard the sayin or whatever that music is a form of voodoo? Crazy right? HW: I can see why they’d say music is a form of voodoo…there’s something that can be religious about it. Very spiritual, a magic we can’t understand. It’s so powerful, so overwhelming. It reminds us that there’s something so much bigger than ourselves out there. If we let ourselves truly be touched by music I believe it changes us. Our souls need it.